Valentine's Day is less about love and more about the business of love for many people, particularly in the U.S. retail industry. 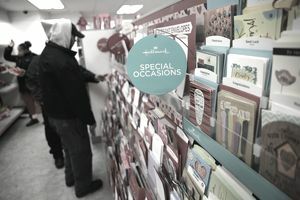 Valentine's Day shopping and giving Valentine's Day gifts and cards is the fun of the holiday for many people, which is a good thing for the largest U.S. retail chains. The commercialism of Valentine's Day is what many famous people like to poke fun at. What follows are funny and fun quotations about Valentine's Day shopping and the business and commercialism of love. These quotable quotes about spending, shopping, buying gifts and buying love for Valentine's Day provide a light-hearted view of the hearts, flowers, chocolates, and all the common Valentine's Day traditions. These funny Valentine's Day quotes are arranged from funny to funniest. Read them all to see if you agree and share your favorites. Then click the links at the bottom of the page for more fun and funny quotable quotes.